Classic design for a private room or condo studio. 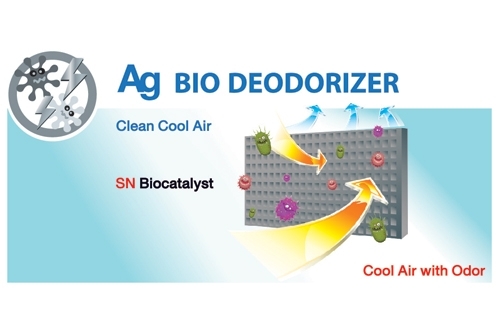 The extra-large freezer includes an Ag Bio Deodorizer that prevents the smell of fresh foods such as meat. A chilled compartment that includes a Tempered Glass Shelf that can hold up to 100 kilograms of weight. 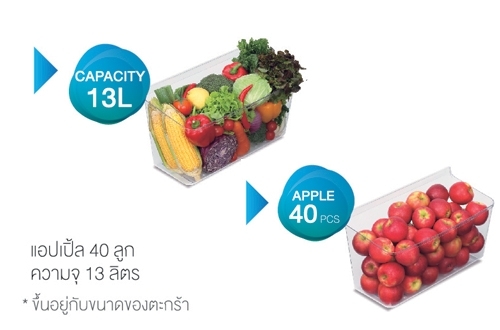 A 13-liter Crisper Glass shelf box for up to 40 apples. 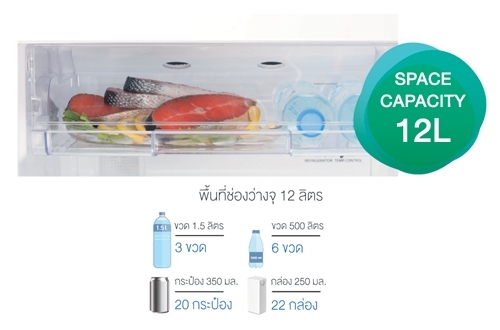 Easy to use space in the refrigerator fully. 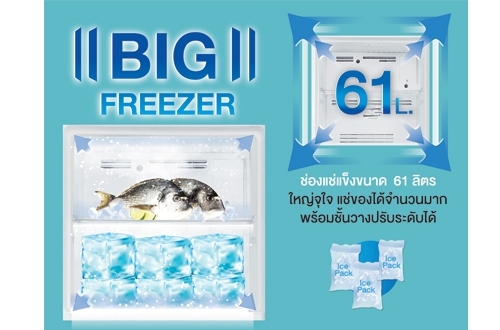 The large freezer size 61 liters with adjustable shelves. 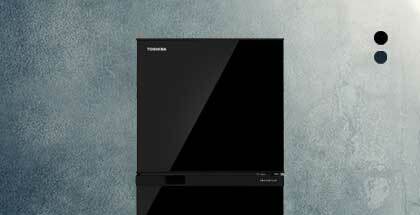 It can filter and decay the smell of sulfur and Nitrogen food which makes the air inside the refrigerator refreshing. In addition, silver (Ag) also degrades molecules of unwanted odors. And inhibit the growth of bacteria. Make fresh food longer. 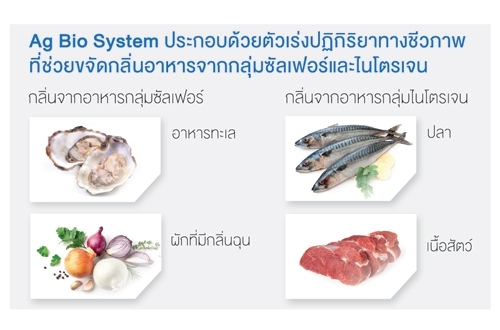 Ag Bio System consists of catalytic catalysts that remove odors the sulfur group, such as seafood, spicy vegetables and nitrogen, such as fish and meat. 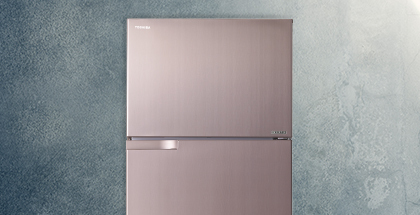 The large freezer up to 12 liters can keep fresh fish and meat at low temperatures. 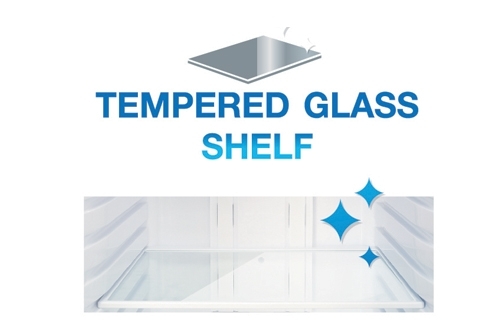 Tempered Glass Shelf can hold up to 100 kilograms of weight and can be adjusted to 3 levels, increase flexibility and increase the use of shelves. The large Crisper glass shelf for freshness. 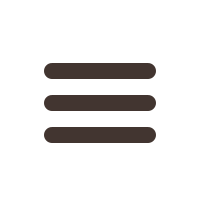 Up to 13 liters of fruit and vegetable storage, easy to use with specially designed Easy to move out.